These are the quality that characterize our Banqueting Team, perfect for the organization of dreamy weddings and exclusive events. Wedding is one of the most significant happening that strengthen the coupledom and the wedding party is one of the most important aspects. Organize it in an exclusive way requires energy, time and expertise: trusting in the experience of professionals is the only solution to enjoy all the emotions of this beautiful day, without any stress. 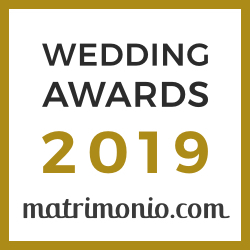 For our Wedding Planners, who boast the management of more than 5000 wedding parties and high level events (among which Ceremonials in occasion of the visit in Reggio Calabria of Presidents of Republic, from Pertini to Napolitano), creating events and welcome Guests is simply an Art! The Art of organizing every single detail so that, in the day of Your special occasion, everything would be perfect as you imagined it. The success of every events is in the harmony of the needs of spouses and those who interpret their desires. Our Team will inspire and accompany the couple in every planning and design phase: from the choice of the best location inside the Resort, to the flower arrangement up to the choice of the Menu and the musical entertainment. A well organized wedding reception is recognizable from the right balance between the different moments of the party itself. The aperitif is the opening, the occasion to relax after the formal occasion. Buffet and carried finger food, themed corners for mixed fry cooked at the moment and handmade tastings are solutions that Altafiumara proposes exclusively for this moment. The reception can have different organizations and lengths, from the classical and traditional one to the original and innovative one: classic formulation, served at a table; in part buffet formulation, fast formulation with cocktail, after dinner formulation with music, dances and open bar. It is only to choose which setting is the best among all the proposals offered by the Resort. For each wedding our Advisor plans a tailored table, giving shape to couple’s ideas and giving them expert advice. The preparation of the table is personalized using the natural elements and the simplest materials, from the palm trees leaves to fabrics, from the bamboo to twisted woods, to give shape to always new and original creations that will be planned together considering the style, the taste and the imprint that the spouses want to give their wedding. Piece of silverware, centerpiece, flower arrangement, place card are especially thought for each reception in order to be coordinated with the Menu and the location, creating with simplicity and elegance your unique event. Lots of solutions from our Wedding planner to realize a wedding reception well-finished in details and rich in suggestions. Light shows and candles mix with flower arrangement and spectacular decorations to give more magic to your wedding day. Centerpiece, from the most classical to the most original, flower arrangements for the buffet table and hangings, without taking into consideration the ornaments for the outdoor spaces that, especially during spring and summer, become the stars. Altafiumara Resort&Spa cuisine Team is very creative and, thanks to its experience and originality, can transfer the tastes of the future spouses in tailored menu. The cuisine of Altafiumara is the result of the selected raw materials quality and the experience of our Chef, exponent of a modern cuisine that enhances the typical tastes of Mediterranean tradition, in particular the Calabrian and Sicilian one,. Raw materials of high quality (as the catch in our sea) are mixed together to highlight known taste or create new ones. The attention to details and the culinary tradition are adopted non only for the courses but also for their refined and original introduction, considered to be very important as much as the taste of the served course. An important and unique moment! For each spouses couple, cutting the wedding cake is a special moment, symbol of sharing and ultimate romantic moment. Altafiumara pastry Chefs make delicate and light cakes, with a spectacular effect. Wedding cakes are tailored depending on the flowers of the bouquet, the taste of the spouses and the desired form. Each cake is unique, never it happens that one is like another! This is the best way to end a memorable day. Sweets Gran Buffet of Altafiumara is unique, the variety follows one another emanating smell and enjoying the sight. The speciality are lots: from the Sicilian cassata to the crème brûlée at Bronte pistachio in jar, from the bergamot mousse to the cinnamon ice-cream and much more.